Really short video showing some details about the new Camaro keys. People who take delivery of Camaros will be getting a key separated from the fob. I don't know exactly how folks who have switchblade keys already are going to be handled, but I'll keep you posted. I want to see the new keys, as in for the Camaros that haven't been built with those key fobs... What will the 6th gen have? 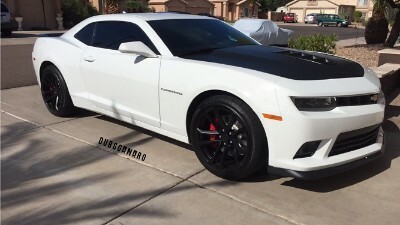 How does this affect camaro's with remote start? I noticed there is no rewind button on the new fobs. The ignition switch in the Camaro is mechanically dissimilar to the units found in the cars affected by the huge GM ignition switch recall. The Camaro recall has nothing to do with the ignition itself, and everything to do with it being possible to hit the key with your knees. Here's a video I did showing what it's about. As soon as I get those keys you'll get pics and a video. For now, I'm assuming keys will be modified fobs. I'd bet 2016 Camaros will all have push button start and transponder keys like the Corvettes, except for COPO and z/28 versions. This was a 2LS so it wasn't equipped with remote start. The fob will operate as usual except the switchblade function is removed. Great videos, but Im not going to get my keys switched. Just like you mentioned in the previous video, I would have to seat myself in a position that would not be normal for me to actually hit the key fob with my knee. I've got my ear to the ground on this one, as soon as I get word about whether a key swap will be a requirement I'll let the forums know. Are you kidding me GM? You can't even give us a decent looking fob? Thanks for the video. I'm still keeping my switchblades.